Our flock of Insurance Agents understands that each and every home is different – and your home insurance should reflect these differences. This is a very unique package that contains coverage for your structure (commonly called dwelling coverage) your contents (also called personal property) this is all your stuff inside, the tangible items you have acquired for example: furniture, clothes, TV, dishes, tools, birdcages, rugs, lamps etc... A lesser known coverage is loss of use. This is a very important coverage that gives you the homeowner extra money to cover expenses you would not normally incur. This will allow you to nest in a new environment until you can fly back to your home. Different species of birds build different types of nest in a variety of places, just like you built your home in a certain area of town, certain number of bedrooms and stories with different exterior colors. You want to make sure your insurance coverage protects your home and it unique aspects. Liability coverage gives you protection if someone is injured on your property or perhaps your child knocks out a neighbor’s window by accident. Call your local Byrd Independent Insurance Agent for more explanations and additional coverages that are provided in your homeowner’s liability portion of your policy. 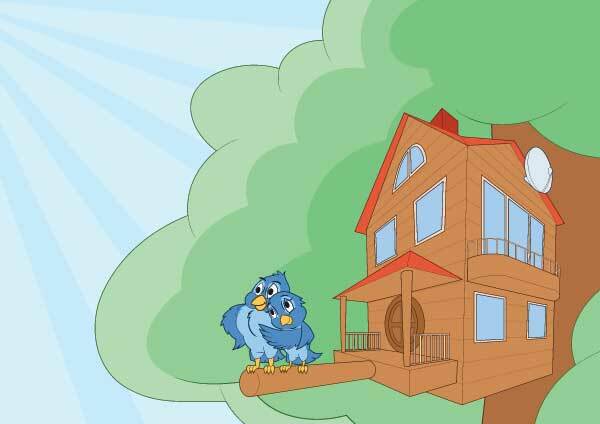 For home insurance made simple, fly on over to our flock of Personal Lines Insurance Agents. At the Byrd Insurance Agency, we will soar above the rest to make sure we give you the best! Depending on your location, lifestyle, family needs and a variety of other factors, you will need different coverage than your next door neighbor. We at Byrd Insurance Agency can assess your situation in order to offer a unique and personalized policy. We are homeowners also so we understand your need to protect your home and your belongings. At Byrd Insurance Agency, we will soar above the rest to make sure we give you the best! If you are currently living in an apartment, a condo, or a Bird House, our Agents at Byrd Insurance Agency will help put coverage in place to address your living situation. Call The Byrd Insurance Agency to get additional information on Personal Articles riders - for things like jewelry, silverware, guns, instruments, cameras, antiques, artwork, etc. You do not want to let some pesky Crow to fly away with your valuables.